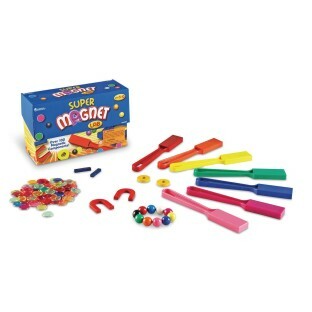 Get magnetized! Everyone can explore hands-on with this complete 124-piece magnetic classroom set for 25 students. Grades K+.